It’s been awhile since I posted on GirlMuch.com, but a lot has been happening in my life, as I’m sure it has been with everyone. Mercury is in retrograde so to say the least it’s been a lot of weird, & unpredictable energy in the air. Regardless of that, when new singles drop, sometime I genuinely enjoy bumping the music, & I get lost in the music for awhile. I didn’t even mean to take this long posting about such a hot record/single, but I was handling business, & just plain & simple enjoying the music as an A&R, and music enthusiast should! 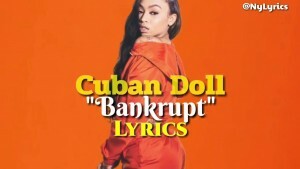 I’ve literally been bumping the new viral hip-hop power player, “Cuban Doll”‘- “Bankrupt” single since it dropped. Like I’m talking everyday multiple times a day. 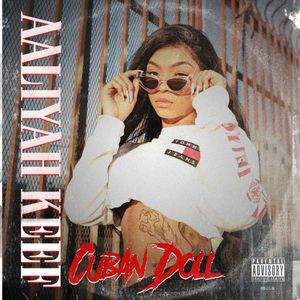 Lyrically, & flow wise this is Cuban Doll’s best effort to date, & the hook is very infectious. 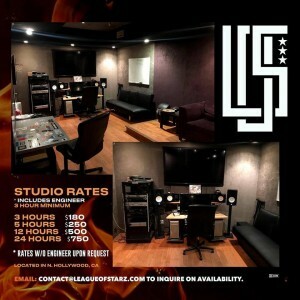 Serious respect and shout out to League of Starz Studio & production team based in North Hollywood, CA for producing, “Bankrupt” which is a certified banger that dropped on WSHH’s official Youtube channel-( https://www.youtube.com/watch?v=1gjjvalD_UA ) which garnered – 8,332,375 million views since it was published on December 7th, 2017, & on the actual WSHH.com site it garnered- 839,062 views– (http://www.worldstarhiphop.com/videos/video.php?v=wshhC8SP019Xkb3ca8I5). 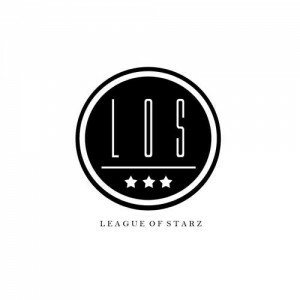 If your an upcoming creative, & like this record, & want to inquire about League of Starz studio time and/or production inquires, I listed their information above for all my creatives that would like to touch down in California and work with a dope collective. 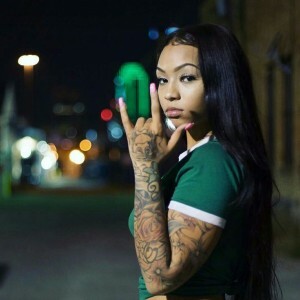 Cuban Doll (https://www.instagram.com/cubanndasavage/?hl=en) is a 20 year old Dallas, TX native who blew up within the past year amidst a lot of viral moments on Instagram, 2 mixtapes dropped, & tons of media controversy. 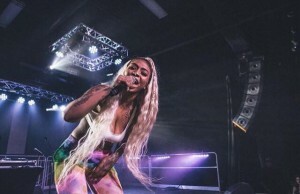 In the midst of all of that she also signed with Capitol-Motown Records for a rumored 1,000,000 dollar deal. 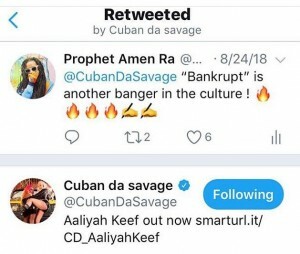 “Bankrupt” was a single from Cuban Doll’s 2nd mixtape, “Aaliyah Keef”, which was said to be inspired by her love for “AAliyah” & “Chief Keef”. 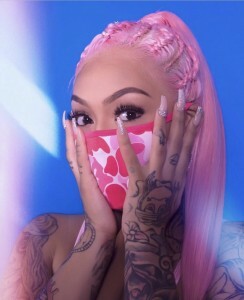 You can hear Cuban Doll speak more on, “AAliyah Keef”, her trials & tribulations, & her thoughts on where the “Doll movement” came from in “The Fader” excerpt clip below. I also wanted to include her, “Genius” lyric breakdown video so fans can get her innermost thoughts on what the, “Bankrupt” single actually means to the creator of the record herself. Speaking about the visual aspect of the, “Bankrupt” single it was directed/edited by Brain Fam (https://www.instagram.com/brainztem/?hl=en) . I find it hilarious sometimes that famous male rappers go out their way to cast beautiful models in videos, & when their casted the models are stiff as boards, & can barely dance or have any rhythm. This is not the case with the, “Bankrupt” official video. It is blatantly obvious why there wasn’t any male presence in the “Bankrupt” video, because I personally don’t know a male in their life that probably could’ve kept it professional on that set. 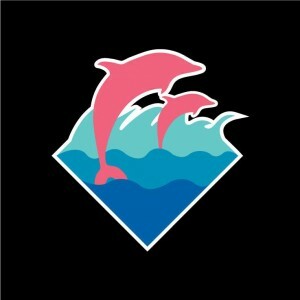 (Haha!). 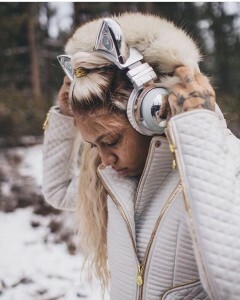 I’m just curious as to did Brain Fam do the casting to the video, or did Cuban simply just call up a few of her home girls, & told them let’s turn up to the song. I also like how Brain’s editing with the cuts, & scene’s chosen match not only the theme of the visual, but rhythm of the song, & production. Excellent cinematography work. The thing I like, & learned from the, “Bankrupt”, video is sometimes the best hip-hop visuals don’t need a grand treatment, or over produced video to capture the vibe of the record. It’s all about capturing the talent/artist in their natural element, & encapsulating that moment in time, while presenting a great aesthetic! 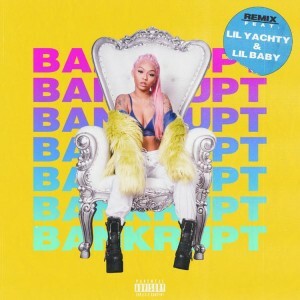 With all respect to the director (Sara Lacombe), & production company (Creative Row) behind, “Bankrupt”, remix video ft. Lil Yachty, & Lil Baby. I just feel the original “Bankrupt” video, & single was a much better effort. I feel the #’s slightly reflect that as well with the remix video being released on WSHH’s official Youtube page and garnering- 7,915,547 million views, which is only slight lower than the original, but has 2 big name artist on the feature, alongside Cuban Doll herself. Lil Yachty wasn’t bad on the record at all, but it wasn’t a mind blowing performance either. Although Lil Baby is a dope artist, & had an amazing year in 2018 getting co-signed by Drake, alongside tons of his other accolades musically. I don’t fully feel like he fit the vibe of this single in particular. As an A&R myself I would’ve much rather heard someone like “Tyga” and/or even “Juicy J” on this record with Cuban than I felt like the remix would’ve been bigger than the original record. 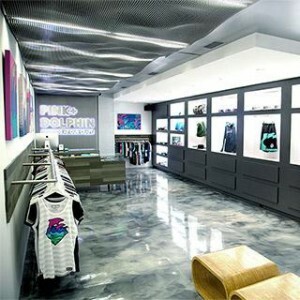 The art work for “Bankrupt” remix is pretty dope though! However, we have to be aware that sometime features on records are put together on who the creator of the record has a better relationship with at the time, & vibes with the most in their personal life/spare time. Of course I mean no disrespect by these comments, as we are talking about major names/brands in the industry, who have all respectively earned their place in Hip-Hop thru their grind, & hard work. 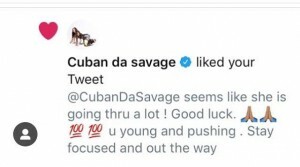 Just with my A&R experience I’m always sort of critical on the sonic/creative aspect of things, especially when it comes to talent like, “Cuban Doll” who I believe has immense talent, & great potential. From a business aspect I get it completely, the original, “Bankrupt” music video which I think is personally amazing had “Cuban Doll” grinding, & rolling weed. Women twerking in parking lots, & condos. Although I personally loved the gritty house party feel to the original music video, it’s not exactly the picture-perfect visual for a wider main stream audience. Especially when the lead artist is now aligned with a major label. “Bankrupt” remix video looked like an attempt to still make a visual to a dope/hit viral record, while cleaning up Cuban Doll’s image simultaneously, & giving her a product to a dope record that could be accepted by a wider audience. They still kept the same verse from Cuban Doll’s original record which was cool, but I still feel like Cuban Doll was more in her natural element, & gave a better on camera performance of the record in the original music video. You can just tell Cuban doll has a better chemistry, & working relationship with Brian Fam. I also didn’t understand the concept of the, “Bankrupt” remix video being shot in a grocery store. lol. Seemed a bit out of place concept/treatment wise in my opinion for such a grimey/braggadocios type of record. 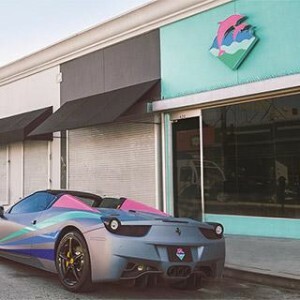 I much rather prefer the opening of, “Bankrupt”, in the original record where Cuban Doll’s clout is shown in a silent, but powerful way with people lined up outside the, “Pink Dolphin”, dancing inside the venue, & Cuban Doll taking control of the mic inside the establishment. The authenticity in the original video is priceless. 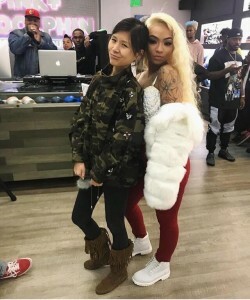 Most recently, Cuban Doll was seen interviewing with Adam 22 on the “No Jumper” platform- (https://www.youtube.com/watch?v=6wunJ3sVNog) an interview which instantly went viral with 1,079,324 million views their official youtube channel. 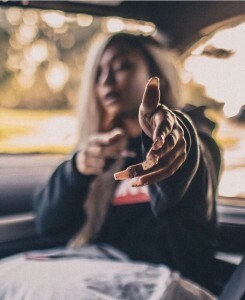 Being in the media field myself I respect media personalities like DJ Akademiks, Joe Budden, Wayno, Nadeska Alexis, & Adam22 when it comes to their interview style of being objective, & trying to have candid honest dialogue with their interviewees. It’s not the same interviews that state “where are you from”, “what inspired your music” ? Like your actually getting some objective conversation about relevant topics/matters. However, my personal opinion is when your touching on matters of an artist personal life you should first approach subjects that defined their fame which in this case is the music for Cuban Doll. 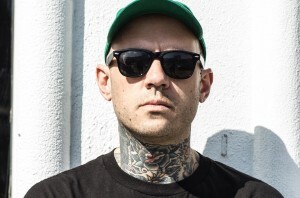 If an artist respectfully says don’t touch on certain subjects before an interview starts, I feel like you should either respect that artist wishes, or just simply decline to continue to conduct the interview if you feel like your content is being compromised from them not speaking freely on main topics about their brand on the internet or in pop culture. 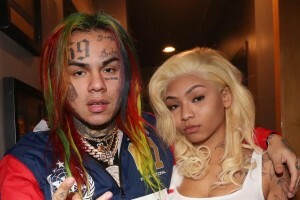 At the end of the day we are diving into these entertainer’s personal lives, so I don’t feel its any reason to make a person/talent feel uncomfortable live on air, especially when your asking about their personal life. 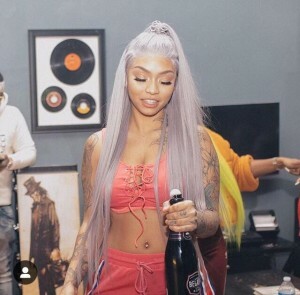 Cuban Doll did touch on a lot of interesting topics during the interview which you can watch above like her split from the 740 project management wise, her current status with Motown/Capitol, & her thoughts on all the Instagram controversy surrounding her, & her recent interactions online. I get Adam’s tactics completely when it comes to attempting to get viral moments for his platform to increase viewership, & subscribers. It’s just personally not my style, but I have no issue with it. It’s the way the media industry works unfortunately especially in related to celebrity culture, so I get it.